Last month, when Sony announced its Xperia XZ2 and Xperia XZ2 Compact phones, people may have missed a tiny (but maybe important) detail about the latter. 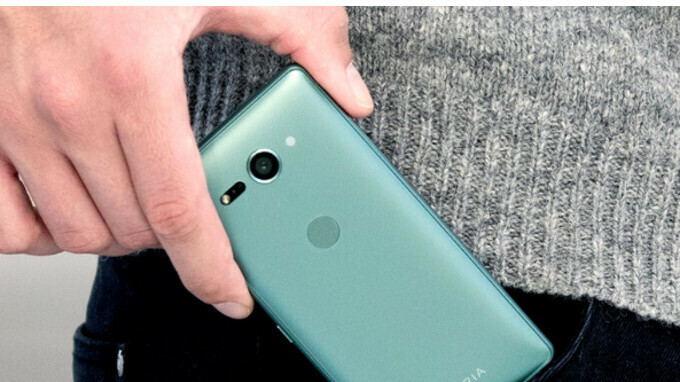 More exactly, Sony said that the XZ2 Compact would become “the first device in the XZ series to be Verizon-certified,” while also being compatible with GSM carriers like AT&T and T-Mobile. Now, this does not necessarily mean that Verizon will carry the Sony Xperia XZ2 Compact. Most likely, it simply means that, when buying the unlocked XZ2 Compact, you’ll have the choice to use it on any of the three major US carriers mentioned above. The Xperia XZ2 and XZ2 Compact are already available to pre-order in Europe, and they should be released in the US in the near future (for prices that have yet to be announced). The two smartphones run Android Oreo out of the box and share many features like: water-resistance, Qualcomm Snapdragon 845 processor, rear fingerprint scanner, and 19 MP main camera with super slow motion video recording (960 fps in 1080p). The XZ2 Compact is obviously the smaller of the two, sporting a 5-inch screen with 1080 x 2160 pixels (instead of the 5.7-inch screen of the regular XZ2). In case you’re wondering, the last Xperia to be compatible with Verizon Wireless was the Xperia Z3v, a handset released by the carrier back in 2014. Since then, all Sony Xperia phones reaching the US have been sold only unlocked, working only on GSM carriers. Do you think you’ll want to buy the Sony Xperia XZ2 Compact and use it on Verizon once it launches stateside? Oh wow, that's good to know. Yeah I think you can't generally go wrong with either one. That phone is A BEAST inside a small form factor. I could care less about the wireless charging or that extra motor. It's A GREAT phone for... hopefully under 600? It is BEYOND IDIOTIC that Sony Mobile would choose to certify VoLTE for Verizon on the XZ2 Compact but NOT the XZ2. But even dumber is that they say "AT&T and T-Mobile compatible", yet they in fact are NOT certified for VoLTE with either of those two. Just stupid.